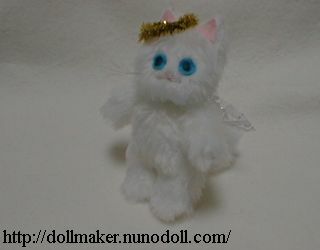 Stuffed little kitty with lace wings. 10cm tall. How about an ornament for Christmas tree? 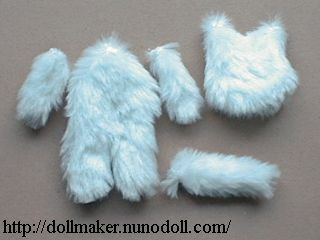 Short furry fabric or warm cloth. Felt as eyes and inside ears. 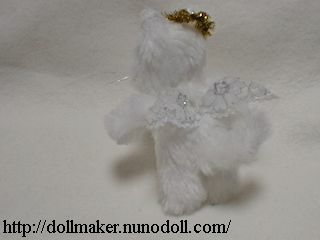 In the page of Mini doll. Arrange them as you like. Draw patterns on the fabric. 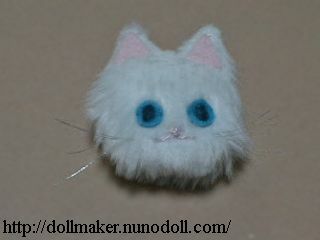 Put fiberfill in them except the tail. 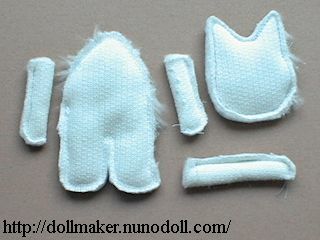 Cut out the eyes and inside ears from felt. Glue them to the face and ears. Stitch the nose, mouth and whiskers. 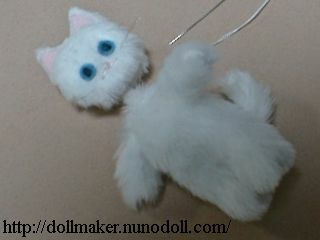 Stitch the head, arms and tail to the body. 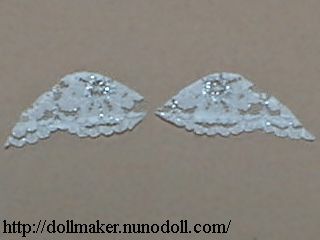 Cut out the lace as the wings. Stitch the wings to the back.